This entry was posted in Sports and tagged instant replay. Bookmark the permalink. Wow … I had no idea! Thanks for sharing this story — and the amazing pic! I agree about the story and pic! Great post!! I would like to see that game!! I really couldn’t imagine watching a game without replay…we really do take it for granted. Even if you are at the game you get to see the replays. There wouldn’t be any getting away with that stuff now-a-days. Great post. So glad he had that idea as it’s so necessary today. The question is: Does technology like this make games better? Sports do take some their excitement from uncertainty and sheer luck. Don’t you wish we could use instant replay to show someone when they did whenever they do something stupid in life? When would we have time to watch all those replays? Thanks for checking in here, Ava. Return soon. Very interesting post; thank you! I think many sports remain slow to fully embrace the benefit of technology at the highest level where the tiniest differences really do matter. Football (of the soccer variety) is one of the slowest to adopt the benefits of instant replay, extrapolation of trajectory and other ways to help referees make correct decisions during games. Fortunately tennis and cricket now use Hawkeye-type technology to aid decision-making, and I think these sorts of innovation only add to the drama of a game, rather than detracting from it. Wow! Didn’t know it happened so long ago! I guess I shouldn’t admit that, because I was born that year, Ha, Ha! Thanks for the info. I guess we need all the replays, but now some of the excitement and spontaneity is gone from the games… oh well! Congrats on being Freshly Pressed! Thanks, Evie. And from my perspective, being born in 1963 means you’re a lot more “freshly pressed” than I am! My dad used to work for Ampex, in the 1970s, I believe. It takes me back… for years we had old Ampex tapes around the house. Since your father worked for the company, you may know that the name Ampex was an acronym. The founder was Alexander M. Poniatoff, so when he founded the company in the 1940s, he derived its name from A. M. Poniatoff EXcellence. that’s pretty awesome. watching nfl games today makes me think i never would have survived back before replays. i guess that’s what you get as a child of technology! Pingback: 闲来话话 » Let’s See That Again! Thanks for sharing this piece of sports history. Watching instant replays gives the viewer a definite advantage over the fan in the stand. However, there is nothing like being in the stands when a great play is made. The collected emotion at the game is something to experience. I agree with your point about the live experience of seeing a great play made. Last month I put up a post about being in the stands at Dodger Stadium when Kirk Gibson hit that historic home run in Game One of the 1988 World Series. I’m sure it was thrilling to see it on television, but being there in person… well, I’ll never forget it, that’s for sure. Re-plays are such a huge part of sports broadcasting, aren’t they. Imagine watching NHL without it… lol… very interesting to read about the history of it. How quickly technology has evolved! The first time I saw replay I thought my senility was flaring up. (Gosh, wasn’t there a play just like that a minute ago?) Good post, T.A., and that must be a record for comments. Good idea. Off the top of my head, there could be a segment on the blown call at first base in Game 6 of the 1985 World Series… and I seem to remember the Colorado Buffaloes benefiting from 5 downs at the end of an important game. (You may remember the details of that one.) You’re right, though, there’s now video documentation of games — and championships — that could have gone the other way. Well………that Buff game is a little different. Did you think I might say that ? It actually is in an odd way. What the Buffs got from that miscount was an extra “spiked” time out. The refs miscount happened after 3rd down. The Buffs , also believing (or being told) they faced 3rd down, spiked the ball with 3 seconds remaining. As the world now knows Colorado scored on the 5th down.—– My point is, that if CU had been aware (or made aware) that it was actually 4th down, they’d have run a play on “the real 4th down”, and quite likely have scored anyway (they were on the 2 yard line). So, again, what the extra down gave them was a spiked time out they should not have gotten. Although you will certainly enjoy maligning my extraordinary rationalization, as usual, solid logic sides with my point of view. THE BUFFS WON FAIR AND SQUARE, sort of. Nice try, Bill, but I’m skeptical that any Missouri fans would accept that argument. For that matter, there are a lot of Georgia Tech fans who probably feel they got cheated out of the AP national championship in 1990 by that blunder of those officials at the Colorado-Missouri game. If they had been allowed to use replay, the outcome would have been different. 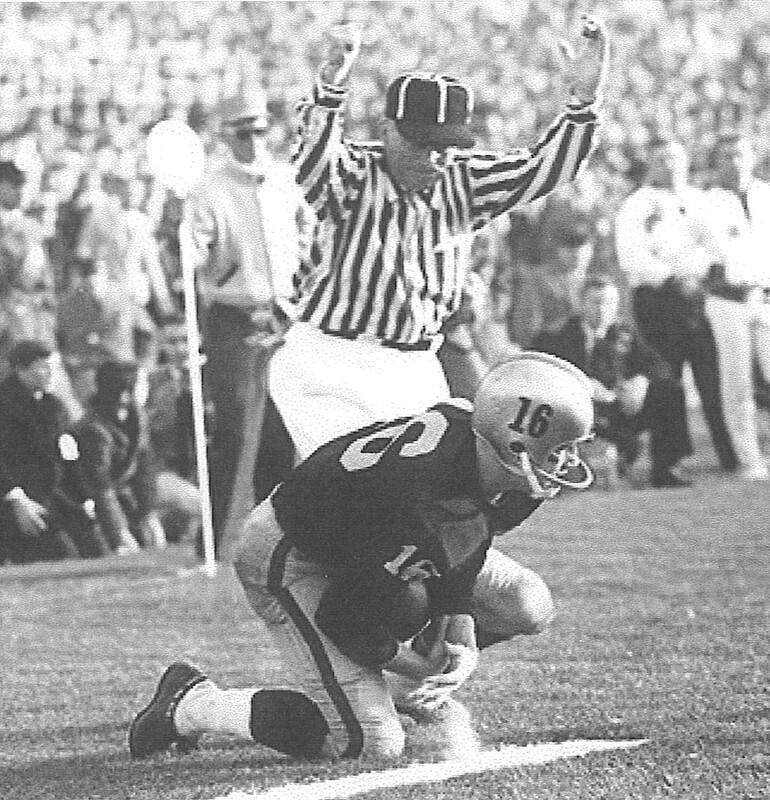 And football officials should be allowed to count on their fingers when they get into those high numbers (past two).